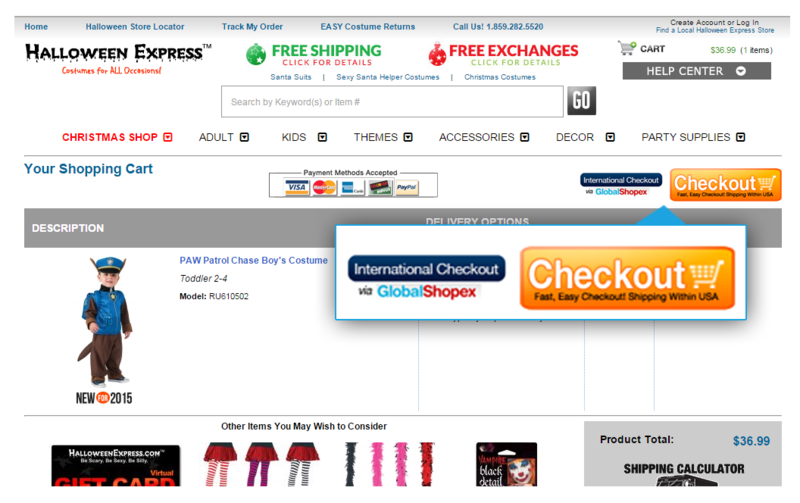 Globalshopex provides different international checkout technologies to sell internationally. Global e-commerce solutions are easy to integrate. GlobalShopex's solution provides merchants with a multi-channel international shipping service and technology. 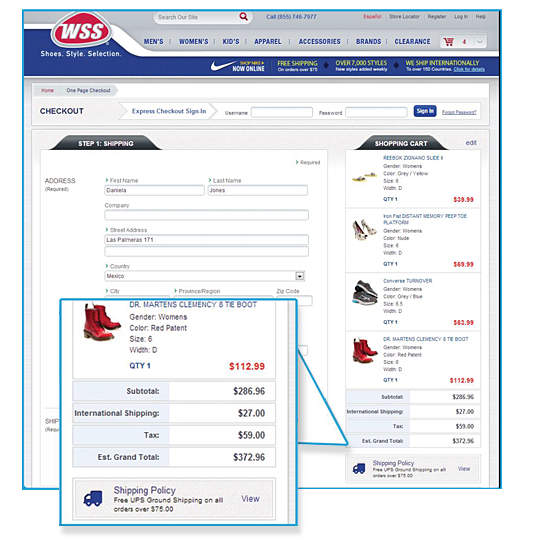 There are three types of integrations available depending on your store's needs: cart to cart, i-frame, and web service. All integrations are free to set up and provide you a seamless and secure international checkout for customers from around the world. Which integration is right for you? You may also reach us via email here .